It doesn’t get more classic than a peak lapel tuxedo coat, and Ike Behar’s take on the one-button peak look is a masterpiece! The fitted coat makes the wearer look his best by accentuating vertical lines, and the super 120’s wool fabric and natural shoulder construction make the Jackson an extremely comfortable wear. 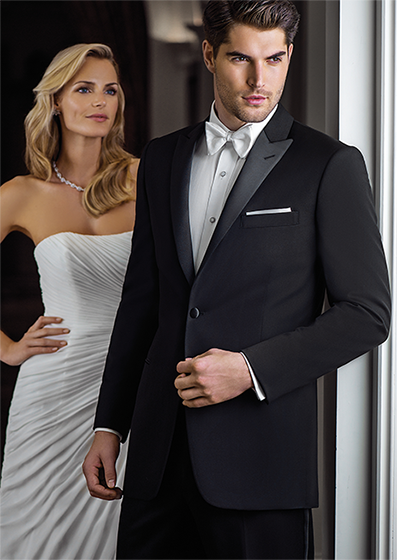 If you seek elegance, look no further than Ike Behar’s Jackson tuxedo!